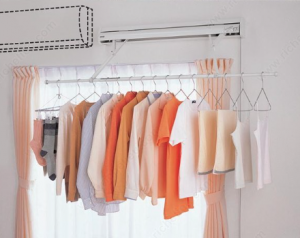 Successful Closet Companies Are Doing This… Are You? Recently I presented to 60 independent closet companies ways that I see them missing out on profits. I discussed product offerings that large independents or franchises offer to their customers making them more profitable. 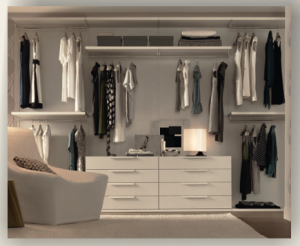 I work with all sizes and types of closet companies – I do what I can to help them succeed and make more money. 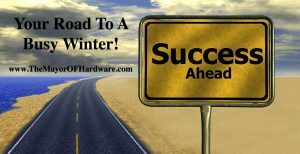 Hopefully you can take a few of these products, create a program and put them into action in your company. About 10 years ago we saw our industry go from white epoxy slides to ball bearing. We are experiencing another transition with under mount slides. Some customers have already made a full conversion and the only reason there hasn’t been more is nobody had the right size under mount and the drawer construction. I have solved both problems. I sell a fully assembled dovetail box prepped for under mounts and I also have an under mount that comes every 2 inches and will mount on a 14” vertical. Even if you don’t want to offer this as a standard yet – you can offer as an upgrade and order on a per job basis. If you have a customer willing to pay more for your drawer box, why not give them what they want? If you are still pushing summerflame and candlelight you are losing jobs. Yes I know that 80% of what you sell is white – but why lose out on the other 20%. Many customers are offering high-end textured panels. I sell melamine from Italy that looks so good you would think it was real wood. The grain in the paper matches the texture in the panel. 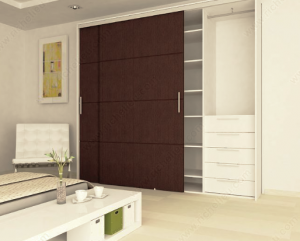 You can purchase by the sheet, you can get it cut to size or you can buy doors and drawers fronts. Some of you may have read my blog post last week. Many of you sell an inexpensive chrome knob or wire pull and if you want to be fancy you give them an upgrade – the bar pull. 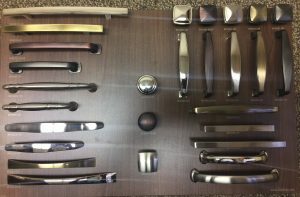 Then you say “if you don’t like these make sure your handle is here at time of install we will put them on.” So your guys are still taking the time to install the handles and you’re not making any money for that time. About a third of the room raised their hands when I asked if they credit back when a customer supplies their own handles. 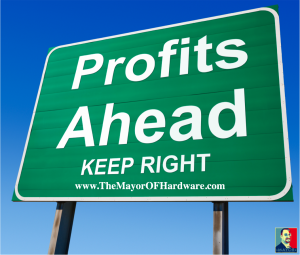 Not having a decent decorative hardware program is costing you thousands of dollars per year. Below is my new closet hardware board. Three years ago I remember meeting with the lighting suppliers and telling them they were crazy – no closet guys were going to sell lights. Boy was I wrong – I currently have customers averaging $3000 per month in lights!! I know the wires are an issue and many of you reading think lighting isn’t worth it. If you put in a system and create a program – you will sell it. Even if it means you only offer battery operated or rechargeable lighting. New technology and wireless remote control switches are a game changer. You don’t have to worry about turning lights on and off or wiring a switch. All you need is an outlet. The above products only work if you have a program. When a client asks you for lighting you need to be prepared with your offering, just like you are with your melamine samples. Same goes for decorative hardware and under mounts. If you have to get back to them or seem unsure customers will pay more to go with the company they feel confident with. Think about your own shopping habits. I know you are busy, and building a program might take a little work, but it is well worth it once you look at the numbers over a year – it really starts to add up. If I can help please leave a comment or send me an email. Stay tuned for the Part II of my presentation.